Everyone's rating [Performance] OperabilityandSwing are excellent. She	（Experience：Less than a year）	It is a racket for beginners. I think that it is a racket for people who have just started badminton like me. Lightness, hitting and swinging are all standard. It is suitable for people with the idea that "I want to raise my hands steadily and steadily but suddenly expensive items can not be used". I am concerned about fragility as it is cheap. KEI	（Experience：２〜３ years）	It is a racket for beginners to level up. Cost performance is quite good. However, there is no such thing as "cheap and bad," and overall the shot feeling and controllability are excellent overall. However, I think that there is some difficulty regarding durability. For beginners with hard practice it is recommended to mean "to enhance the quality of play". I thought it was a bad thing because the price was cheap but it was a pretty good racket. Even though playing for a long time because it is light, the burden on the wrist and shoulders is small. 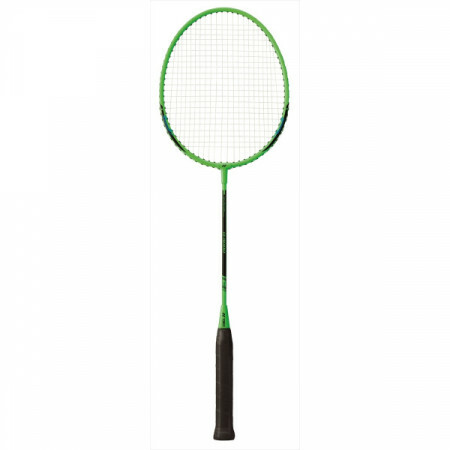 You should buy this racket as much as you buy a cheap racket, so you do not have to replace it many times. I liked sports and I was almost inexperienced so far, but I bought a racket to start badminton as a hobby. Since it is a beginner, I bought the cheapest item I bought for the time being, because it is a net, it is light and very easy to use. Moreover, although I use it for about a year, it is still not broken anywhere yet, it is strong regardless of the price. Although this racket is cheap in price, it was YONEX so it was very easy to use when I bought it with suspicion. Even though I play for a long time I do not feel a tired feeling on my wrist, I think that it is the greatest strength that it is light in any way. So it is recommended for women and children to play with. As expected it is YONEX. Among the various racquets used, Yonex B 4000 came out of the group and came up to my hands exactly like a part of the body, and it gained credibility before less than a week. As soon as you start using it, you can feel good fit. It is also attractive to be familiar enough to use and to be able to smoothly drive according to the play style. The price range is also reasonable and I will change my mind every day.